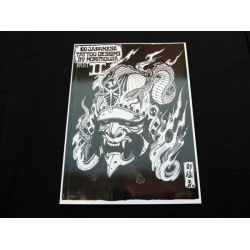 This book is produced by the talented Michigan tattoo artist, Jack Mosher, who is also known as "Horimouja". 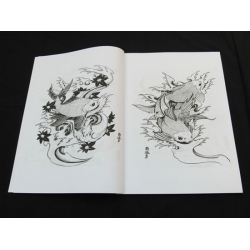 This particular book, Japanese Tattoo Designs Part II, is some of his most recent and polished work.It is a remarkable collection of Japanese influenced designs. 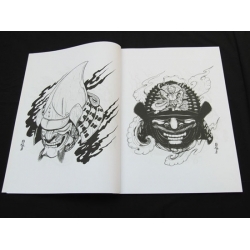 It features classic Japanese icons and folklore done in Jack's traditional yet modern and original style. 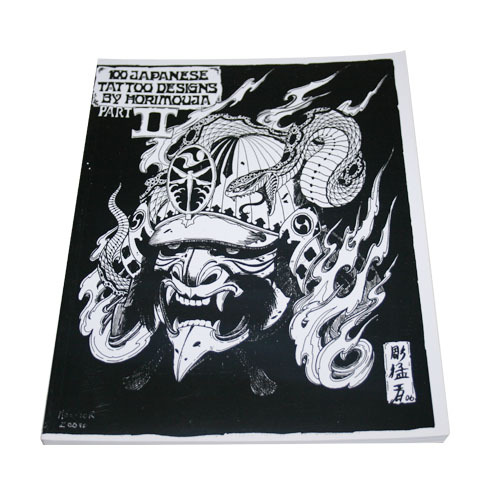 It contains masks, koi, warriors, stories, geisha, symbols, and animals pack this book from cover to cover. Sprial-bound, softcover. 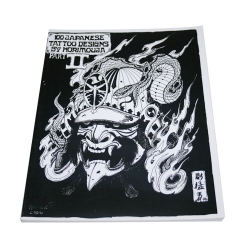 100 Single-sided pages.